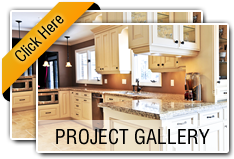 Are You Looking For A Jacksonville Beach Remodeling Contractor Today? Our company helps protect and beautify your largest investment – your home. Our Jacksonville Beach clients expect the courtesy and convenience of working with a professional remodeling contractor. We have been operating in Northeast Florida since 1973, and look forward to providing you with excellent service. Atlantic Total Solutions maintain a consistently high level of professional care and responsibility in each job. 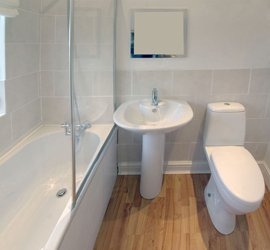 We guarantee all of our home services to be of the highest quality, as we know our clients would expect nothing less. We build our Jacksonville Beach customer base by effectively protecting our customers from the elements and by saving them time and money. Just as you maintain your car, you should also make sure that your Jacksonville Beach home is well-maintained as well. Atlantic Total Solutions is different from most home improvement companies. We show you the difference in the quality of materials, how each part of the job goes on, and the many ways we can supply you with Jacksonville Beach home services that meets your needs and looks great when installed. We are your local full service construction and siding company. Our Jacksonville Beach professional siding contractors pride themselves on doing it right the first time. Give us a call and we will do whatever it takes to make you a satisfied customer. 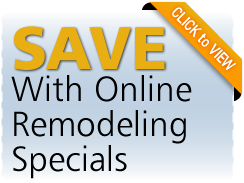 Our services range from home remodeling to siding repairs and installation. All of our Jacksonville Beach home improvement experts are dedicated to working with you to implement an affordable home solution that meets your needs. We also offer house siding, aluminum siding, vinyl siding, steel siding, shake siding, siding installation and siding repair. One of the most basic methods of home improvement is through the installation of replacement windows. No matter how insignificant they may seem, windows are actually capable of putting a whole new “feel” to the home. It can make a house look gloomy or sunny depending on the design and make chosen by the homeowner. For this reason, installing one takes time and patience on the part of the owner. For those who are thinking about installing replacement windows for home improvement, following are some tips on how to go about the task. There are various types of window replacements that homeowners can choose from. They can go for wood, vinyl, steel, aluminum or fiberglass. Each one provides excellent features to a house although currently, the most popular type seems to be vinyl. Make sure to choose a durable item that puts a new “spin” to the home without being too expensive. "I wanted to write and tell you how happy I am with the painting you did for me. It is not often that someone delivers exactly what he promises, on time and professionally done. You and your painting crew did. The cleaning, repairing, and painting of the exterior of my home was done expertly and looks as good as it did brand new. I am very happy with your performance and would recommend you and your painters to anyone who asks. Thank you for your excellent work!" If you are looking for a Jacksonville Beach remodeling contractor then please call 904-757-9641 or complete our online request form.